Housing affordability is a significant issue, affecting millions of Ontarians. Whether homes are rented or owned, subsidized or not, the current lack of affordability impacts households of all incomes in growing regions across the province. Access to quality housing is not only critical for the province’s people, but also necessary for its communities to flourish socially and economically. A failure to act poses a significant threat to not only the people of Ontario but also those of the country as a whole. What can be done to improve housing affordability? And what role can be played by the architectural profession? Recognizing the emerging crisis in 2015, the Ontario Association of Architects (OAA), together with the Residential Construction Council of Ontario (RESCON) and the Residential and Civil Construction Alliance of Ontario (RCCAO), commissioned the Canadian Centre of Economic Analysis (CANCEA) to carry out a broad-based study of housing affordability in the province. Following the release of that study in 2017, the OAA furthered its effort by creating the Housing Aﬀordability Task Group (HATG) with the objective of identifying key design and planning elements to address housing affordability, including building form, construction methods, location and municipal planning regulations. The HATG commissioned SvN Architects + Planners to develop a report offering recommendations to help various levels of government meet housing supply needs in a timeframe responsive to provincial population growth projections. 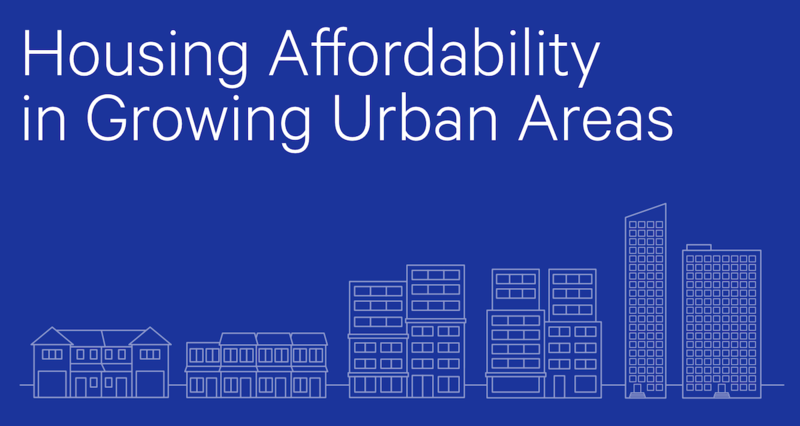 Authored by SvN’s John Van Nostrand, Liana Bresler and Blair Scorgie, and prepared with the direction and assistance of the HATG, “Housing Affordability in Growing Urban Areas” (the Report) is now available. It outlines the current crisis and suggests ways to increase the overall supply of housing. In order to increase housing affordability, the provincial government and municipalities must encourage not only new construction, but also the renovation and expansion of already-existing housing to create more dwelling units. Moreover, these need to include a wider range of lower- and medium-density housing types such as duplexes, triplexes and walk-up apartments, as well as laneway housing. Further, the Report calls for the consistent application of 2017 Provincial Growth Plan density targets across all high-growth municipal areas in order to accommodate rapidly increasing populations. The Report also explores the need to focus on increasing density within lower-density neighbourhoods—the “Yellow Belt” that occupies approximately 70 per cent of most urban areas. The Report has only scratched the surface on housing affordability. All three levels of government must be involved with the solutions in concert. New policies and directions must be drafted, put forward for consultation and ultimately adopted. New financial models need to be developed and explored for both ownership and rental. Streamlined project delivery processes must be implemented and promoted, and new housing delivery methods need to be developed and made available. Ontario architects are developing actionable plans that address the housing affordability challenge. However, this crisis can only be solved once the will of policy makers and politicians is made clear.